While you fret and crib over your brand’s social media pages being as stale as last month’s bread, there are professionals kicking it hard and in every way possible to make social media engagement happen. Still, the question stands unanswered, how? Obviously, getting more users to interact with your brand on online platforms is the most desirable thing you’ve been making all those efforts for. Be it managing the public pages or posting timely content on these, there has to be a definite strategy when you go about the whole process. With 2016 all set to witness 2.13 billion social media users across the globe, there’s an urgent need to make it big online. Here are a few tips that will help you set the right mood for your audience and go for a user-friendly approach on social media channels. Any time you log into Facebook, Twitter or LinkedIn, there are a zillion groups pertaining to your area of expertise. What stands imperative is building your audience base through these. These not only serve as the best platform to interact with customers interested in your services but an efficient channel to let your clients know about the latest products/services you bring to the table. Moreover, you get all the bits of advice and relevant information required to generate hustle and interest for your brand. Although a significant thing to keep in mind is that your primary aim is to participate in discussions rather than initiating them from the get go. Let the community/group take the discussion forth, instead of bluntly promoting your content. Most importantly, it’s really essential to limit the size of these groups and keep them refined with field related experts and followers only. This way it also becomes easy for you to stay active on a continual basis, rather than an intermittent way. 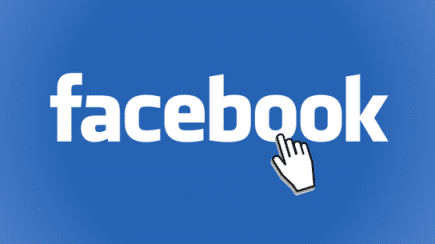 It goes without saying that Facebook is the most viral social networking website on the globe. This surely calls for the need to have a Facebook fan page for the group of consumers you’re targeting. What really stirs commotion on these is when employees from your organization share stories and experiences to let the consumer get a thorough insight about the workability and usability of the services provided. Not only does this let your audience ease out before availing your services, but assures trust for your brand as well. Adding to the same, this also stands significantly considering the amount of engagement that happens once the audience finds the right nerve to connect to. Personal experiences let them gain confidence regarding the brand and confirms their loyalty to your organization. More or less, the right trait for an efficient marketing manager. Every time you log on to Twitter, there’s a character length you have to deal with while tweeting. Whereas, websites like LinkedIn prefer content that links to a professional field and falls of some use to your connections. If not anything, this sure does make a strong indication to ‘repurpose’ your content and make it be the right fit according to every website. For instance, you create a listicle for LinkedIn and convert the same into an enticing infographic for Google+ and Pinterest. This way you keep the gist same, yet different interfaces for the customer to perceive the thought correctly, hence maximum engagement. Going through a few statistics, it seems like 80% of marketing professionals in the corporate arena are into a healthy practice of sharing content that comes from their followers and other organizations in the same field also. Remember, engagement happens both ways. Let them know that you are genuinely interested in all comments and activity they make. Foursquare is quite efficient platforms to ensure the same. You can anytime use the website to mention tips, address concerns (if any) and answer questions pertaining to a feedback. This way it becomes all the more easy to build trust and endorse your products and services. It has never been about making it big and sharing your accomplishments online to increase the market outreach. However, it does make sense to let your followers be a part of the whole journey and build a long term relationship rather. Yes, social media is capable to this extent! This article is written by Anshuman Kukreti. He is a professional writer and a keen follower of the global job market. An engineer by qualification and an artist at heart, he writes on various topics related to employment across the globe. Reach him: LinkedIn | Twitter | Google+.